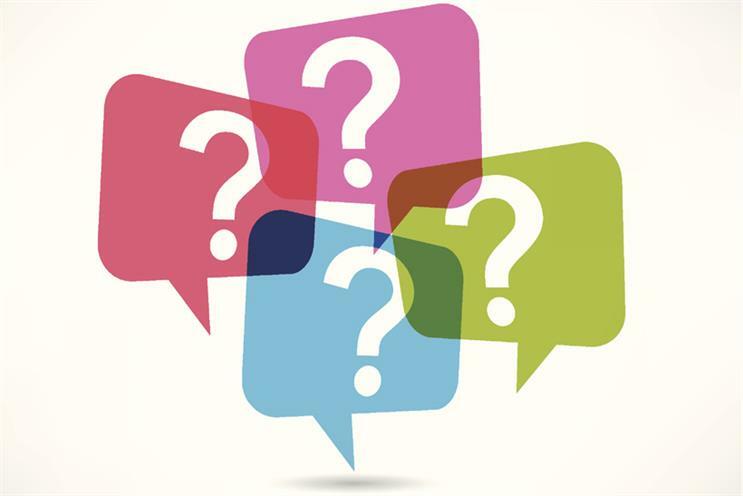 As Campaign relaunches on 9 May to cater for the whole marketing audience, with Marketing, Media Week and Brand Republic becoming part of the new brand, we want to hear from you - the questions you've never got a frank answer to, or been too afraid to ask, of your agency or client. From the sublime to the ridiculous, from the probing to the personal, we all have questions that go unanswered - especially professionally. And particularly when it is directed to your agency or your client. We are calling on all of you - from brands, agencies, media, tech and other businesses in the marketing world - to vent here and now. Any issue that you have burning inside, or even if it’s vaguely floating at the back of your brain, nagging at you over the years, then now is your chance. What questions would you pose to a marketing director if you’re from a tech start-up or the data team? Or perhaps you’re a planner who is supposed to have all the answers, but never quite got around to asking that one thing of the CMO in your early years. It’s up to you whether you remain anonymous or not, but big or small, serious or fun, dark or light, we want to hear your questions this week - and we will get you real answers. Questioning the assumed and the established could just throw up an answer you never dreamed of. As philosopher Claude Lévi-Strauss said: "The scientist is not a person who gives the right answers, he's one who asks the right questions."